Just like being at a workshop! Carolyn Shannon, along with the assistance of Vic Silvio, take you step by step through each 'heartwork' creation in a very simplistic and easy to understand format. Then, once all your drawings are completed, they thoroughly introduce you to many insightful interpretations that can be made upon reflection of your 'heartworks'. Any of these audio workshops can be done alone or with a group. Many have testified to just listening to them as a reference on how to look at their whole life from a different view. Short Jaunt Intro/Beginners Session A short but powerfully insightful introductory workshop. Just 3 simple drawings first lift off the negativity 'dumped' on you by others or generated by your own learned beliefs and then clear your mind for new awareness and the ability to become a better 'observer' of your life. Day Trip MOST POPULAR Intermediate Session All the benefits of a Short Jaunt plus 4 more 'heartworks' which takes you on a bit of a soul journey giving you more insight into your life and how you subconsiously hope to accomplish moving forward at this time. This is our most popular workshop! Spend a morning or afternoon by yourself or with others travelling in the comfort of your home. World Cruise Advanced Session This is the ultimate adventure! A minimum of 18 heartworks presents with an awe inspiring overview of your life, your passions, your reflection to others and much, much more! And yes you still get the benefits of releasing negativity as well. This is the most indepth and informative workshop. Only one word says it all when it comes to these audio workshops: WOW!!! 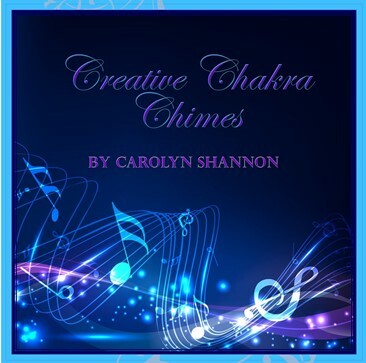 Creative Chakra Chimes CD Originally created as the background music for the Art from the Heart Adventure audio workshops, it wasn't long before people were requesting this music on its own for use with meditative exercises such as Yoga and Tai Chi. Now many enjoy starting or ending their day with this whimsical arrangement of echoeing chimes vibrating in unison with their chakra centers. Don't Wish to Use Paypal when purchasing? Home Books Workshops Testimonials Register Contact Us Featuring!